After having toyed around with my protection kit for nearly a week, now, I thought that it was time to write up a proper review. Full disclosure here. This is the first product that I received free from the company in exchange for a review. 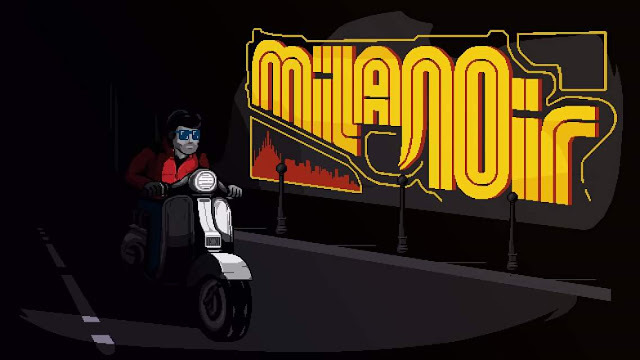 That won't influence my review of the product, but I will emphasize now that my impressions and preferences are uniquely my own, and everyone's mileage may vary. So, what is it? Well, it's brightly colored silicon sleeves that fit onto the switch, in addition to various options for thumbstick grips. I've included plenty of pictures to help everyone gauge the fit and look. 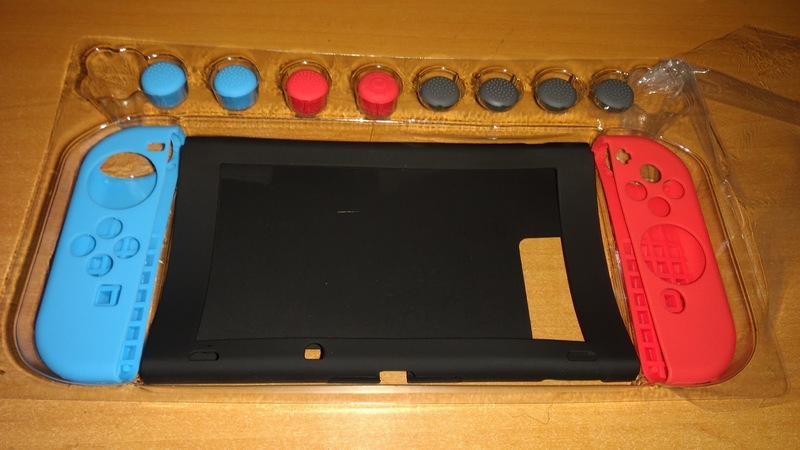 You'll notice from the first picture, which shows MOST of the product itself, that there are eleven pieces- a silicone sleeve for each of the joycon and the console, and eight thumbstick grips. So, what's the twelfth piece? A small microfiber cleaning cloth that I didn't bother to include in the many pictures that I took because I just kind of tossed it aside after opening it up. Needless to say, it's identical to the type that often come with eyeglass cases from the optometrist. Everything fits perfectly on the console, even the little cutouts for the fan, charge port, power button, volume rocker, etc. It takes a little bit of stretching and fine tuning to get the thumbstick grips on, but that's typical and necessary if you want them to actually stay on properly and to be able to move your sticks as you expect to. 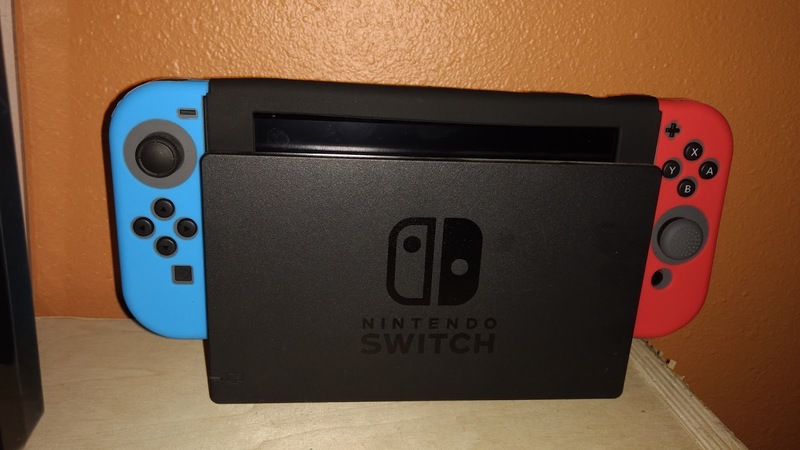 The joycon grip sleeves even have a little nub that hooks over the top to help keep the sleeve itself on.You can even slide the sleeved joycon into the console itself...as long as you either push the corners of the sleeve off the rails first, or don't have on the console sleeve at all. I've opted to not use the console sleeve myself, but I'll discuss that more a little later. While the fit on any sleeve/cover/extension is obviously the most important consideration for an accessory, how it affects play may be just as important. Everything fits extremely well, so I'll move on. The joycon sleeve itself has little bump-out hand holds that add a bit of girth to the controller itself. 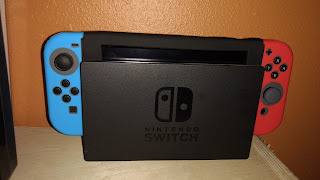 Not only does the silicone itself make the joycon more comfortable to hold, but these little "handles" that are more like palm cushions do help the joycon feel more like a regular controller, and it is very comfortable to hold both on and off the switch itself. It's not really all that advantageous when you're holding the joycon sideways..but it isn't in the way, either. These same palm cushions also add some height to the console itself when you set it down, which makes it easier to pick up than if it were just flat on the table. The joycon sleeves have only two drawbacks that I've come across in my play experience- the wrist strap doesn't fit on properly without scrunching up the tab that holds the sleeve in place, and they make the "+" button a little harder to press, and the "-" button almost impossible to press without lifting your finger up and placing it into the cutout and wiggling. You actually get used to the latter, and I suspect that people with longer nails may be able to more easily overcome that little issue. The thumbstick grips are definitely going to be a question of personal preference. The red and blue grips all add height to the thumbsticks, and I didn't particularly care for this at all. 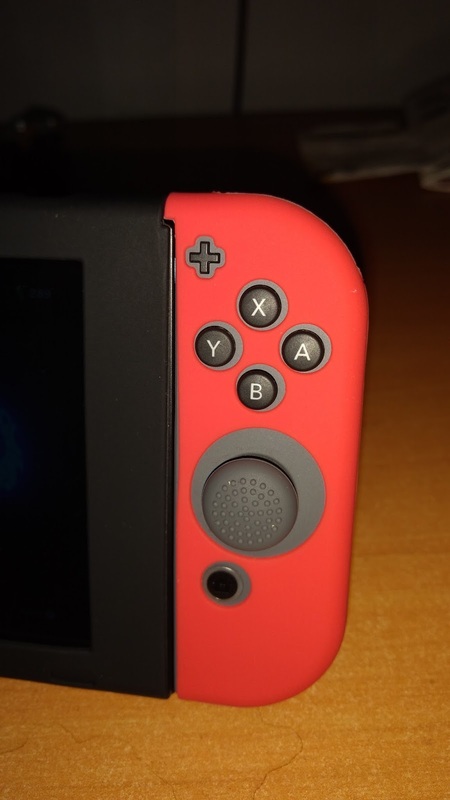 My main issue was that switching between the stick and the ABXY buttons was uncomfortable, and made holding the joycon or switch itself uncomfortable. The left stick to the direction buttons was a minor annoyance, but with a game like Zelda: Breath of the Wild where I am frequently switching between those two. it was not acceptable. I suspect that this wouldn't be as big of an issue on the pro controller, but I didn't actually try that out. On the other hand, much to the chagrin of a buddy of mine, I am in love with the smaller gray thumbstick grips. They're designed to rest flush on top and add a negligible amount of height to the controller itself. You'll notice that most of the pictures have the gray thumbstick grips on the sticks, and that's because I have no plans of removing them unless they wear out or need to be cleaned. I was incredibly grateful for the second pair of these, as they are now on my pro controller sticks. 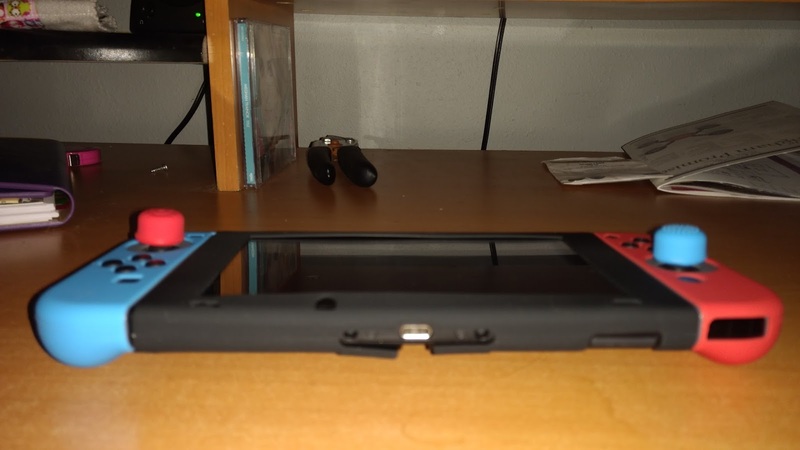 A minor gripe is that the sleeves will come off the bottom of the joycon if you move your hands just right. but it makes the sleeve bunch up around the buttons. 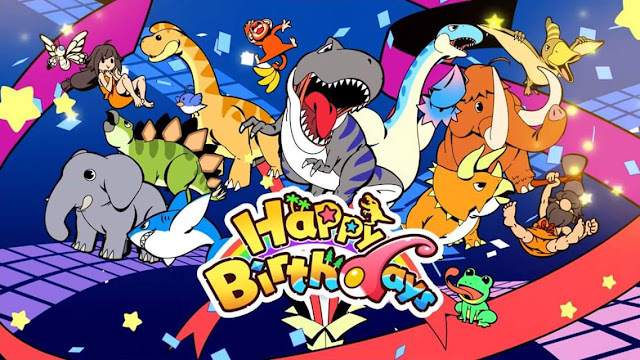 It didn't happen enough to be too troublesome, but you may want to reconsider having the sleeves on while doing any kind of intense gaming where your button presses need to be quick and precise(particularly fighting games). Overall, this feels like a great product. 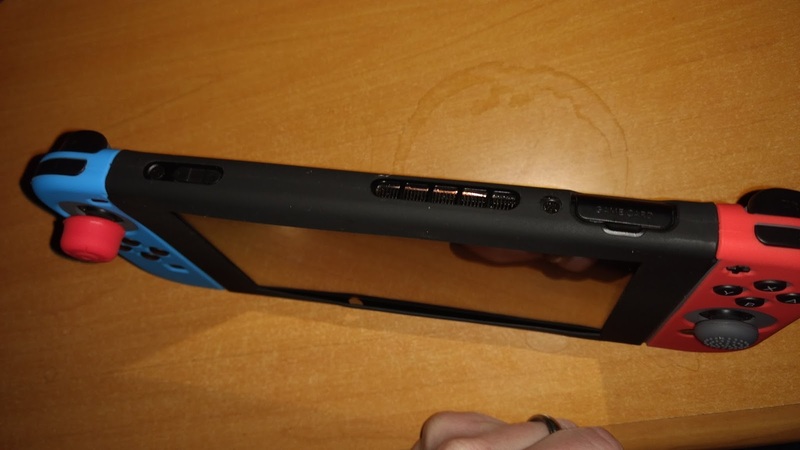 I suspect that the silicone adds a bit of shock absorption "protection" if you were to drop it. but I think that the "protection" being sold here is more along the lines of "preventing your hardware from being scratched". 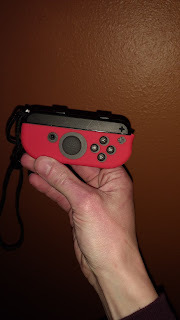 Not only do I enjoy the feel of the Sleeves on the joycon, but I really like how they make my joycon pop since I only have the gray ones for now. I do like the ability for people that like the added height thumbstick grips to customize their color combos, but I would have loved to see another kit with more color options on the sleeves themselves- such as a second set with the colors reversed so that I could have two blue or two red sleeves, or red on the left and blue on the right. When I wrote my Amazon review for this kit, I noticed a few people had mentioned not being able to put the sleeved switch console into the dock, so i had to try it out. While it was a struggle, I did manage to get it to make a connection and charge/display on my television while in the sleeve- but it felt like it may break my dock. So, I don't use the sleeve on the console itself since I like to easily go back and forth between docked and undocked modes. 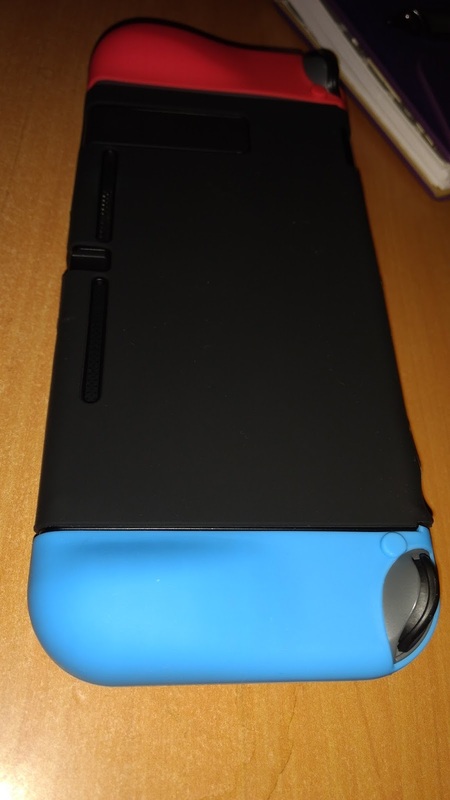 My only other complaint is that the added thickness of the sleeves makes it much more difficult to fit into carrying cases designed for the switch itself- even a case designed by the same company. Thankfully, the sleeves come on and off easily enough. 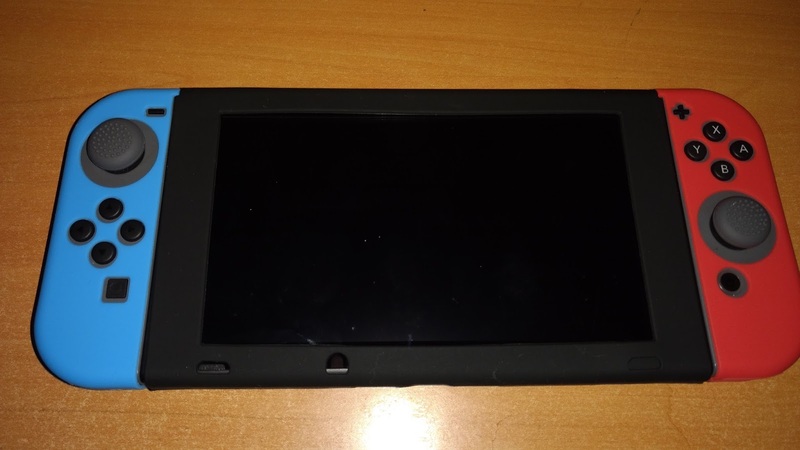 The sleeved joycon do not fit in the grip..but I don't think that it's fair to use that as judgement for or against a product. I just wanted to include this information so you know in advance that it's not even something you should consider. 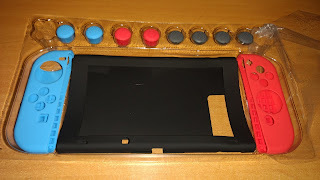 I would recommend buying the kit if you would like some protection from scratches and would love some extra grip on your console in handheld mode. if you don't play in handheld mode often, it's not really worth it.